This compilation of more than 20 outstanding projects in the areas of assisted living, continuing care retirement communities and nursing homes represents the best current work designed by architects for the ever-increasing population of the ageing and elderly. 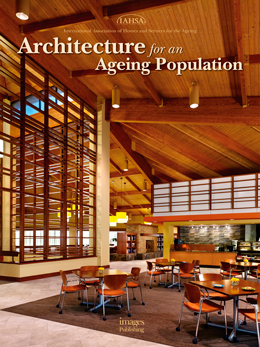 Produced by IMAGES Publishing in association with the IAHSA, Architecture for an Ageing Population complements the successful Design for Aging series. Each project is presented with photographs, detailed plans and statistics,ﾠilluminating the high level of research, planning and community involvement that goes into these advancements in living environments for seniors.ﾠThis comprehensive review of architectural design trends in aged-care facilities will appeal to aged-care providers, developers, users, and advocates, as well as architects, interior designers, landscapers and other design professionals.